Bound by their desire to provide their community with its first real basketball court, locals from Barangay Ampayon in Butuan are brought together to build their own “Court of Inspiration” under the Aray Natin, Galing Natin campaign- a collaborative effort between small-town locals and Alaxan FR to construct these symbols of community and turn them into something that moves people to aim for greatness. 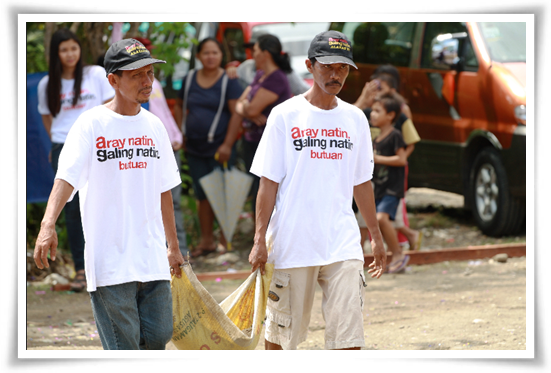 The spirit of Bayanihan is still alive! Kayang kaya basta sama sama! 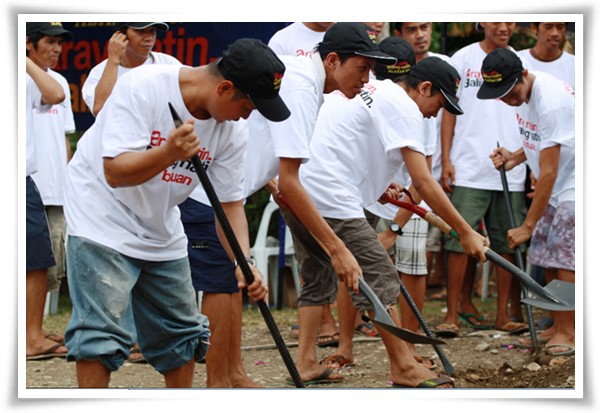 Barangay Ampayon is just one of the many places that Alaxan FR is eyeing for the construction of Courts of Inspiration. 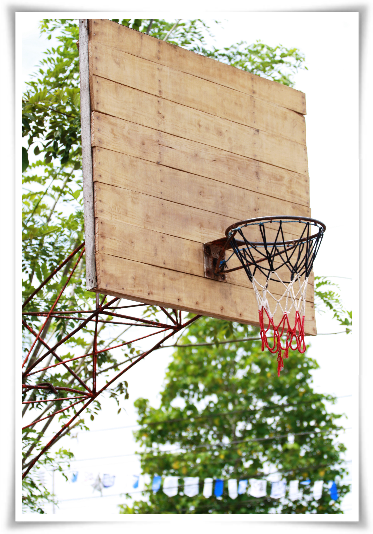 For Visayas, the first basketball court was unveiled recently in Iloilo. Soon to rise are courts in Bacolod, Dumaguete, Tacloban, and Cebu. 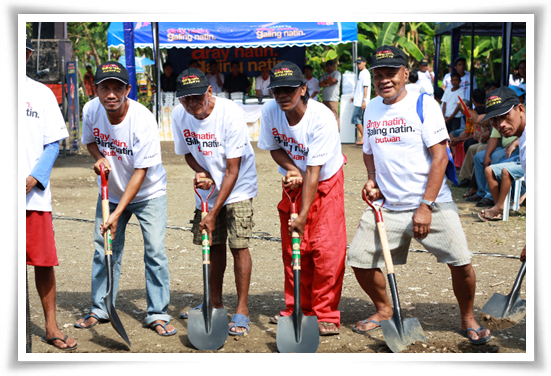 In Mindanao, construction will begin shortly in the communities of Davao, Cagayan de Oro, Zamboanga and Saranggani. Through these projects, the campaign aims to give members of communities in different parts of our country pride in having personally built something that doesn’t just hone their skills, but builds their character as well. “I was impressed at people’s willingness to jump at the opportunity to serve their community at our project in Butuan and I believe I’d witness the same level of enthusiasm in the communities where succeeding Courts of Inspiration are to be built,” says Kristine Martinez, Alaxan FR Product Director. “Maganda rin ‘to lalo na sa kabataan, para malayo sila sa mga bisyo” (This is also good for the youth, that they may be steered away from vices) says Bgy. Captain Samuel Allan Amante, who led his people into volunteering. Drug use is currently high among teens in Bgy. 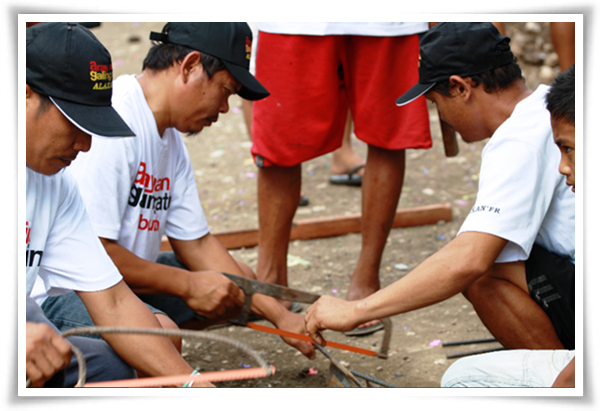 Ampayon, and the local government see the project as a means of sending the youth into the right direction.